1997 Title of a "professor of theoretical physics and informatics"
1987 Habilitation (D.Sc.) in many body physics. Thesis title: Graphical representation of model spaces, published by Springer Verlag, Berlin (1986); thesis won the Ministry of Education Award. 1980 PhD in quantum chemistry. Thesis title: Direct Configuration Interaction Method (Ministry of Education Award granted in 1981). Thesis advisor: Prof. dr hab. Jacek Karwowski. 1977-1980 Graduate study in quantum chemistry at the Nicolaus Copernicus University, Torun, Poland. 1977 Master of Science diploma (highest honors, "blue diploma"). 1972-1977 Undergraduate study in physics at the Nicolaus Copernicus University, Torun, Poland. Academic Genealogy and my Neurotree. 2015 Chairman of the Polish-U.S. Fulbright Commission Board (przewodniczący Rady Komisji Fulbrighta), from 06/2015 to 30.11.2015. 2014-2015 Undersecretary of State (Vice-minister), in the Ministry of Science and Higher Education, from 22.04.2014 to 30.11.2015. 2012-2014 Vice-President for Research and ICT Infrastructure, and Deputy President of the Nicolaus Copernicus University (Prorektor ds. Badań Naukowych i Informatyzacji UMK); from 09/2012 to 05/2014. 2010-2012 Nanyang Visiting Professor, Nanyang Technological University, School of Computer Engineering, Division of Software & Information Systems, Singapore (4 month/year). 2003 Senior Fellow, Nanyang Technological University, School of Computer Engineering, Department of Computer Science, Singapore (1 year sabbatical). 2000-now Professor Ordinarius (Profesor zwyczajny), Nicolaus Copernicus University (UMK), head of the Department of Informatics, Torun, Poland; teaching, research, administration, member of countless committees. 1998-2008 President, DuchSoft research and development company. 1990-1999 Associate Professor (Profesor Nadzwyczajny), Nicolaus Copernicus University (UMK), head of the Department of Computer Methods, Torun, Poland; teaching, research, administration, member of countless committees. 1996-2001 Visiting Scientist, Max-Planck-Institut für Astrophysik (MPA), Garching b. München, Germany; 1-2 month each year, research. 2000 Visiting Professor, Meiji University, Department of Computer Science, Kawasaki, Tokyo, Japan; 1 month, research. 1997 Visiting Scientist, Max-Planck-Institut für Psychological Research (MPPF), München, Germany; 1 month, research. 1997 Visiting Professor, LSIIT, Artificial Intelligence Department, Louis Pasteur Universite, Strasbourg, France, 1 month, research. 1996 Senior Research Fellow, Kyushu Institute of Technology, Faculty of Computer Science and Systems Engineering, Iizuka, Fukuoka, Japan; 3 month, research. 1995 Visiting Scientist, Center for Neural Networks, King's College, London, and IUT, Université de Champagne, Reims, France, research. 1994 Senior Research Fellow, Rikkyo University, Department of Chemistry, Tokyo, Japan; 3 month, research. 1992-1994 Visiting Scientist, Max-Planck-Institut für Astrophysik (MPA), Garching b. München, Germany; 2 month each year, research. 1990 Visiting Professor, Quantum Theory Project, University of Florida, Gainesville, Florida, USA; 6 weeks, research. 1988 Visiting Professor, Department of Chemistry, University of Southern California, Los Angeles, California; 1.5 month, research. Visiting Scientist, Max-Planck-Institut für Astrophysik (MPA), Garching b. München, Germany; 1.5 month, research. Visiting Scientist, MPA; 3 month, research. 1985-1987 Alexander von Humboldt Fellow. Max-Planck-Institut für Astrophysik (MPA), Garching b. München, Germany; 1.5 years, research. 1982-1984 Starszy Asystent (Senior Assistant), Institute of Physics, Nicolaus Copernicus University, Torun, Poland; teaching and research. 1980-1982 Postdoctoral fellow, Department of Chemistry, University of Southern California (USC), Los Angeles, California, USA; 2 years, research. 1980 Asystent (Teaching Assistant), Institute of Physics, Nicolaus Copernicus University, Torun, Poland; teaching and research. Nonlinear Biomedical Physics, Open Access journal (BioMed Central, London), since 2006, in 2012 re-launched as the European Physical Journal (EPJ) Nonlinear Biomedical Physics. EU COST Action BM601 Neuromath, Advanced Methods for the Estimation of Human Brain Activity and Connectivity, since 2007. EU COST Action B27 Electric neuronal oscillations and cognition (ENOC) working group, 2006-08. EU COST IntelliCIS (Intelligent Monitoring, Control and Security of Critical Infra-structure Systems) Action IC0806, 2009. EUCog II - 2nd European Network for the Advancement of Artificial Cognitive Systems, Interaction and Robotics. European Union expert in the Horizon 2020 Program (FET proposals), 2014-now. European Union expert in the 7th Framework Program (FET proposals), 2007-13. European Union expert in the 6th Framework Program in the "Life Sciences" panel, 2003-05. European Union expert in the 5th Framework Program in the "Life Sciences" panel, Marie Curie program, 2000-02. Polish Committee of Scientific Research, reviewer for VIII (1994), IX (1995), X (1996) call, section (T11E) "Medical Technologies"
Reviewer of the Foundation for Polish Science (Homing +, MPD, Pomost, Venture, Welcome) | The National Centre for Research and Development (Lider) | National Science Center and the Polish Ministry of Education. EIT Health, high level expert group Think Tank member of the European Institute of Innovation & Technology (2017). European Neural Network Society; President 2006-2008, second term 2009-2011; President-elect 2005; member of the executive committee 2001-2004; individual ENNS member since 1993. European Physical Society, individual member since 1984. IEEE Senior Member since 2002, Member since 1997. IEEE Computational Intelligence Society, CIS Technical Committee member since 2003; Neural Networks Pioneer Award sub-committee (2012). IEEE Signal Processing Society, since 2015. Interdisciplinary Centre for Mathematical and Computational Modelling (ICM), Scientific Council (since 2017). International Brain Research Foundation, member of the International Advisory Board. Open Systems and Information Dynamics Society (former "Polish-Japanese-Italian Society"; member of the board, 1992-1995 and 1999-2003 (elections are every year). Polish Academy of Sciences, Computational Physics Section, Sekcja Nauk Obliczeniowych, Founding member (1997), vice-president (2001-05). 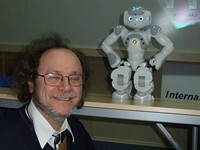 Polish Academy of Sciences, Committee on Automatics and Robotics, Neural Networks and Fuzzy Logic, Sekcja Automatyki, Robotyki, Sieci Neuronowych i Logiki Rozmytej, member (since 2000). Polish Academy of Sciences, Komitet Informatyki, Sekcja Nauk Obliczeniowych (Computational Science Section), member of the board, 2009-2010. Polish Chemical Society; Quantum Chemistry section, Sekcja Chemii Kwantowej, 1980-1990. Polish Cognitive Science Society, Polskie Towarzystwo Kognitywistyczne; founding member, on the executive board 2002-2004. Polish Neural Network Society, Polskie Towarzystwo Sieci Neuronowych; founding member, on the board since 1995. Polish Artificial Intelligence Society; Polskie Stowarzyszenie Sztucznej Inteligencji, founding member, 2010. Polish Physical Society, Polskie Towarzystwo Fizyczne; member since 1977, secretary of the Torun chapter 1989-91; member of the board 1988-1992. Polish Transpersonal Society, Polskie Towarzystwo Transpersonalne; founding member 1993. Nicolaus Copernicus University, member of the Professor's Club, since 2001, vice-president 2012-16. Medical University of Łodź, member of the "Drzewo Pokoleń" competition council, 2016-2018. Sapiens Lab, member of the International Advisory Board 2018. Mission: to accelerate insights into the spectrum of brain dynamics across the breadth of humanity. SRM Deemed University, Chennai, India, member of the International Advisory Board, 2004-2012. INEB-Instituto de Engenharia Biomédica, Porto, Portugal, external advisory council, 2008-13. ABM Space Education, Chief Creative Officer (2011). Scientific Committee of the Institute for Child Development in Gdańsk (2018). Gold medal: INPEX, Pittsburg, USA, June 2015, America’s largest invention trade show. Gold medal: INNOVA EUREKA 2015, Brussels, November 2015. FORTRAN (Fortran 77 and 90)and WATFIVE interactive, various dialects of PASCAL, LOGO, BASIC; SPEAKEAZY, dBase IV and older, Lotus 123, Framework IV and older (Fred language); Matlab, symbolic algebra languages Mathematica, Maple, Reduce, HTML. UNIX (Standard, AIX, Sun OS/Solaris), MS Windows 3.1/95/NT/2000, MS-DOS, CP/M, TSO, CMS, Amos, Amis, IBM 360/370 systems JCL and utilities, CRAY system, VMS. MS Office, Lotus Smartsuite, TeX and LaTeX typesetting systems, various DOS shells: Norton, Xtree, Xtpro, PCTools, Desqview, many statistical and other application packages. Artificial intelligence, computational intelligence, neural networks, machine learning, fuzzy and rough logic. Cognitive science, introductory courses, including philosophy of mind, neurobiology, brain and behavior, computational neuropsychology. About 50 popular articles in many journals. Neurocognitive informatics, or algorithms that are inspired by brain functions, including imagination, intuition, insight and creativity; neuroinformatics, analysis of brain signals, neuromodulation. Computational cognitive neuroscience, cognitive sciences, behavioral sciences, cognitive robotics, cognitive informatics, cognitive psychology, developmental psychology, large scale simulations of brain functions, human-computer interaction, humanized software interfaces. Group theory, including the symmetric and the unitary group theory, properties of non-abelian symmetry groups; theory of graphs, graphical representations of tensor Hilbert spaces, nuclear physics theory, shell-model methods in nuclear physics; spin functions, construction, properties, spin-dependent problems; Jahn-Teller effect in molecules, vibronic couplings, harmonic oscillators. 1999-2001 Similarity-based reasoning systems with applications in science and medicine. 1996 Kyushu Institute of Technology, Heiwa Nakajima Foundation Research Award, 3 month, about 18.000 $. 1995 European Union COST project "Intelligent software for chemistry", W. Duch, first co-investigator, in collaboration with Max-Planck-Institut für Astrophysik (Garching b. Munchen, prof. Diercksen, principal investigator), Belfast (Ireland), Bratyslawa (Slovakia), Groningen (Holland), Leeds (UK) and Espoo (Finland). 1994 Rikkyo University, Tokyo, Research Award, 3 month, about 13.000 $. 1986-1987 Alexander von Humboldt Stiftung, Germany; "Application of symmetric group methods in quantum chemistry", research support for 18 months, additional support (around 20.000 DM) for equipment and books. 1995 Grant from KBN to build Local Area Network in the Institute of Physics and Department of Informatics building, about 25.000 $ (with physics). 1991-1993 KBN (State Committee for Scientific Research), ``Development of configuration interaction method", principal investigator. 1989-1990 Resortowy Program Badawczo-Rozwojowy RRI.14: "Budowa systemów oprogramowania profesjonalnego dla potrzeb nauki i dydaktyki: symulacje komputerowe w fizyce" (computer simulations in physics; software development); local coordinator of the program supervising about 10 investigators. 1988-1991 Resortowy Program Badawczo-Rozwojowy RRI.14 : "Informatyzacja procesów dydaktycznych i naukowo badawczych w szkołach wyższych" (computer methods in teaching and research); local coordinator of large program, planning and creation of 6 computer laboratories at the Nicolaus Copernicus University. 1992-1993 UMK, local grant, "What can you teach neural networks? ", principal investigator. 1991-1992 UMK, local grant, "Models of neural networks", principal investigator. 1990-1991 UMK, local grant, "Parallel data processing", principal investigator. publications (topics) or publications (years) | list of CI Lab projects. Conferences and Schools Attended or direct Web link. Invited Talks (local) or direct Web link. WD info in Nauka Polska | in Wikipedia.